Joe Nugent is involved with a lot of social and civic organizations and running young professional groups. Joe has a weekly podcast where he discusses topics such as networking, goal setting and mentorship. He has a lot of useful tips that someone can use as they prepare for an interview. He’s been in the hospitality business for the last 17 years and has done operations, food and beverage, regional sales and now he is director of sales and marketing and also an entrepreneur. Joe launched Inspector Gadget Homes, a home watch and home inspection company nearly three years ago. Listen in as Kelly Campbell and Joe Nugent chat about these point. 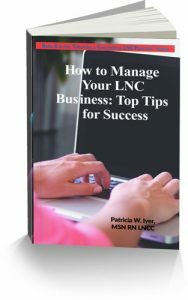 Related Product:​ How to Manage Your Legal Nurse Consulting Business: Top Tips for Success. You’ve gotten your legal nurse consulting business started, you’ve gotten clients, and you want to sustain your success. Business development and client management are intertwined. Both are necessary for a stable business. In this book I tackle how to control your money and your goals, to subdue the evil twins of perfectionism and procrastination, and to get more done through outsourcing. You can reach a stressed-out state as a business owner. I share tips for managing your stress and health. Joe was born and raised in Cleveland, Ohio before moving to Cincinnati to attend Xavier University. Upon graduating, Joe entered the hotel industry and quickly worked his way up the corporate ladder. Nearly seven years ago he made the move to Naples, FL. Joe has had an entrepreneurial spirit about since back in high school when he owned his own landscaping company. 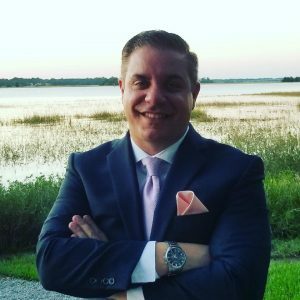 He is also the Director of Sales & Marketing for the award-winning Holiday Inn Fort Myers Airport @ Town Center. Joe is actively involved in the community and participates in various non-profit organizations and Chamber and Young Professional groups. He regularly speaks to students at Florida Gulf Coast University as well as many civic and business organizations. Joe has two children, Logan, 8 and Madison, 5. In his spare time he enjoys golfing, going to the beach and spending time with his kids.